The HRSA Nursing Scholarship is one of those opportunities that many nursing students may not know exists. The decision to attend school to become a nurse is a wise and important one. Not only are nursing school graduates providing a helpful service to patients, but they are also bridging the gap in the increasingly growing deficit of qualified nursing professionals in the nursing industry. Nursing school can be very expensive for those interested in attending, but there are resources available that can help future nurses achieve their dreams. What Is the HRSA Nursing Scholarship? The HRSA Nursing Scholarship, or Health Resource and Services Administration Nursing Scholarship, is a selective government program that assists nursing students with completing their respective nursing programs by offering financial assistance. The program not only alleviates the massive shortage of nurses but also helps certain healthcare facilities get the critical assistance that they need. The scholarship recipients agree to work in certain facilities for a minimum of 2 years upon graduating from their nursing programs. The program also wants to promote advance practice in the nursing profession. This year alone the program reserves as much as half the scholarship funds for those nursing professionals who wish to pursue master’s level nursing degrees. The recipients must agree to work at a Critical Shortage Facility (CSF) in a mental health or primary care health professional shortage area. The HRSA Nursing Scholarship pays monthly stipends, tuition, eligible fees, and other reasonable costs (clinical supplies, books, uniform, etc) for nursing students. Upon completing their service commitment, nursing professionals receive competitive benefits packages and salaries. 1. United States citizenship (either naturalized or United States born), lawful permanent, or United States national resident. A diploma nursing program leading to a diploma or equivalent in an accredited nursing program. 3. Begin the nursing program before a specified date (see https://www.hrsa.gov/index.html for date). 4. A completed application and signed contract on file. 5. Enrollment or acceptance in a nursing school in the United States territory, a state, or the District of Columbia. 1. The online nursing scholarship application. 2. A letterheaded letter from the entity owed services by the applicant stating that the nursing scholarship program commitment will be served and that no conflicts will impede on the applicant’s ability to complete the service commitment. 3. All required documentation and supporting forms. Applicants receive a submission notice after successfully submitting their online application. The review process can take 3 to 4 months to complete, and applicants receive notification of award by email. Applicants have the right to accept or decline the scholarship. In the event they accept the award, applicants must receive the funding by direct deposit. They must also complete a W-4 form and sign a contract. · Meet all deadline requirements. Applicants should make sure that they know what dates all applicable documentation is due to ensure application approval. 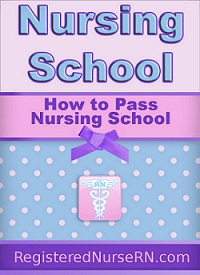 · Make sure the nursing program is accredited. It may be the best nursing program in the country, but if it is not accredited, the applicant’s application is subject to rejection. · Applicants must start their nursing program by a specified date. Check the dates for the scholarship prior to enrolling in a nursing program. The requirements are simple and easy for those who want to receive the HRSA Nursing Scholarship. Applicants receive a substantial financial reward in exchange for providing 2 years of nursing service after completing an accredited nursing program. Applicants should begin the application process immediately if they are interested in cashing in on this amazing opportunity.